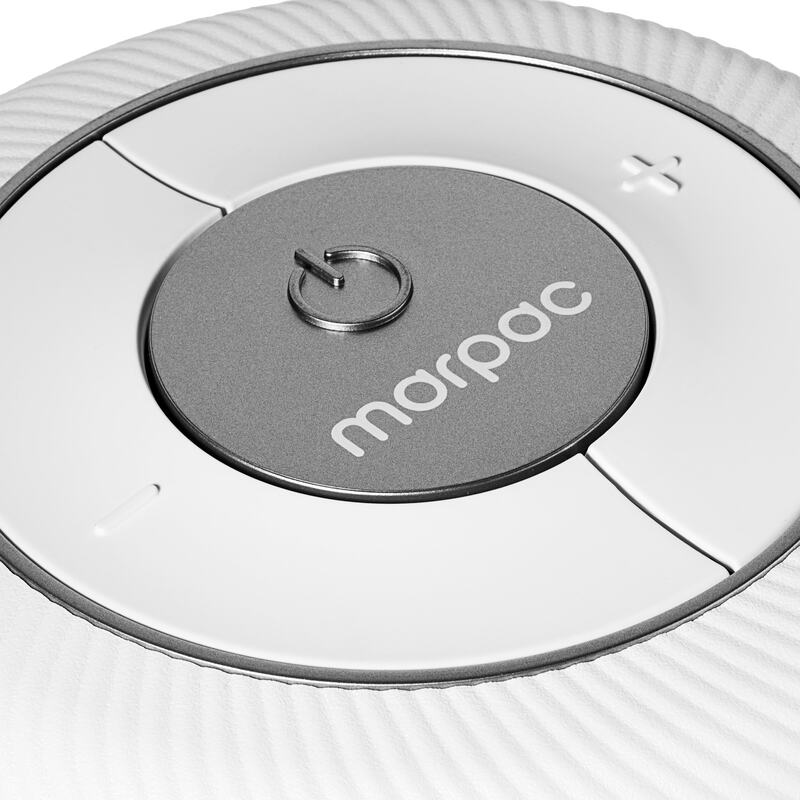 Built to address the expectations of today’s consumers, Marpac’s Dohm Connect white noise sleep sound machine is the new top of the line sound machine from Marpac and builds off of the newly redesigned Dohm Elite design language. With Alexa Voice Control, the Dohm Connect is app-controlled, allowing users to easily set sleep schedules and control volume or power from their phones. The design focused on improved user interface and aesthetic appeal, by emphasizing the notion of bedding and bedroom decor. Texture improves user interface, making sleep sound adjustment more intuitive, especially in darkness. The redesigned flowing texture of the body communicates that the body adjusts and provides finger grip to optimize the size of the vent opening. The app enabled Dohm Connect, developed in partnership with Mobelux, extends the Marpac design language to the digital realm. With a focus on UI/UX, Dohm Connect features Alexa voice control and allows customers to set sleep schedules and adjust settings from their iOS or Android device.